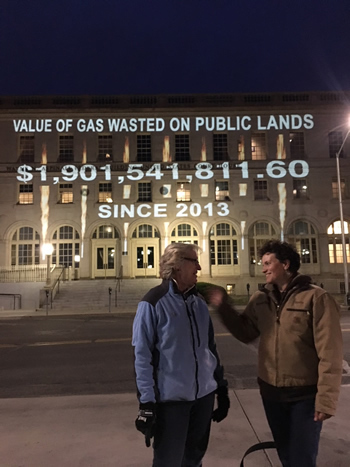 Citizens for Clean Air joined other local, state and national organizations, citizens and businesses in urging elected officials to regulate the venting, flaring, and leaking of methane gas from oil and gas infrastructure. 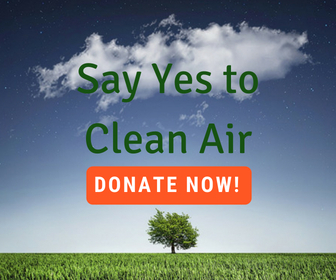 2014: CCA members joined hundreds of others who testified before the Colorado Air Quality Control Commission (AQCC), urging adoption of effective, common sense regulations. The success of our efforts resulted in the state of Colorado being the first state in the nation to pass methane waste reduction rules. 2015: Wyoming followed with their own regulations. Other states have looked to Colorado and Wyoming to strengthen their own rules. 2016: The Bureau of Land Management (BLM) and the Environmental Protection Agency (EPA) used Colorado’s rules as a template for national mandates to regulate oil and gas methane emissions. May, 2017: The US Senate tried to use the Congressional Review Act to dismantle the BLM rules and prevent similar laws in the future. Thanks to the hard work of citizens from around the country urging Senators to reject the attempt, the effort was unsuccessful. October, 2018: EPA Acting Administrator Andrew Wheeler proposed to weaken the EPA’s New Source Performance Standards for the oil and gas industry, which had been in force for almost a year. The EPA admitted rolling back these rules would put another 380,000 tons of methane into the atmosphere by 2025. Why is this important? Methane is a greenhouse gas, more than 80 times more potent than CO2 in the short term. Other other harmful pollutants are released alongside methane, such as benzene and volatile organic compounds.